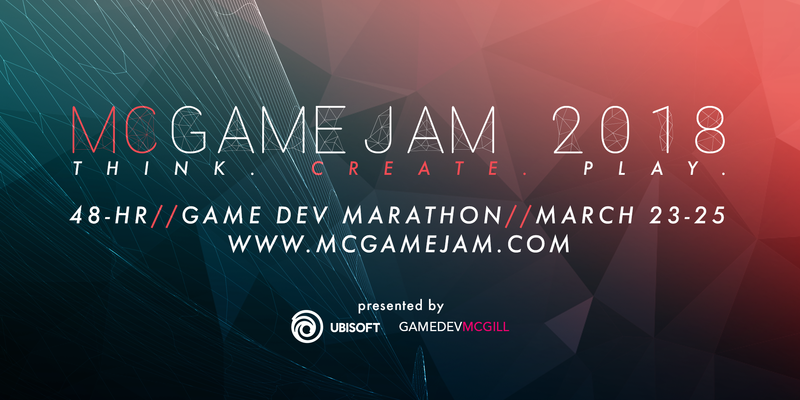 McGame Jam is a 48 hour game development marathon where attendees are tasked with creating a playable game, in any shape or form, based on a chosen thematic. Organized by Game Dev McGill in collaboration with our friends from Conjure, (ÉTS's game development club), McGameJam's goal is to bring students together to collaborate and create great games, regardless of their skill level. The theme for McGame Jam 2018 is: "This isn't even my final form". A Dungeon Crawler starring a cute character that got SHIPPED TOO SOON! Upgrade your ArmGun with funds. Eliminate intruders to acquire funds. How many watermelons can you grow? Will you reach the final form? The "Real time strategy card game" where you upgrade your robot so that it may kill the other robot first. A fast 1v1 2D arena shooter. Shoot toppings at your enemy and prove you are the best pizza.